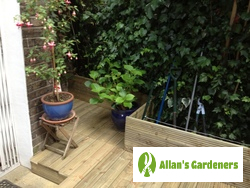 Get garden design services in Greenwich SE10 from a landscaping company that cares. If you’ve just moved into a new property and don’t like the look and feel of your backyard you should give us a call – we’ll help you start from scratch. Begin the process by describing your vision to an expert over the phone and then watch while the team turns it into a reality. Of course, we’re suitable for any one with the time and inclination to make their garden the best it can be. The booking process couldn’t be simpler, and you can get in touch with us at any time. We can't wait to hear from you! 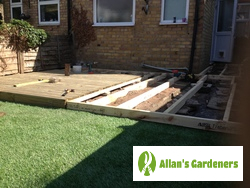 Allan's Gardeners offer garden design and other garden services in Greenwich and in many surrounding areas too. Find us in: Lewisham, Camberwell, Battersea, Wandsworth, Chelsea.